2/22/19 - Vols offer. Post offer recap article. 4/17/19 - Tee Martin visited his school. Jordan James made a name for himself last season as a freshman running back at Brentwood (Tenn.) Academy, helping the Eagles win their fourth consecutive state championship. But he never dreamed that his early production might lead to a scholarship offer from a major college program. The Class of 2022 running back said he received his first offer Friday from home-state school Tennessee, and “it was an honor” for him to land an early offer from an SEC team, “especially as my first offer." James said Martin “was telling me he watched my film, and I had great speed, strength — all that stuff.” At least a few college coaches, James said, have “told me they like my speed and explosiveness.” While he has grown up in the Nashville area, he said he never has been to Tennessee's campus. But he said he's hoping to take his first look at the Vols in the near future. “I’m planning on visiting,” James said. “I’ll be there soon. I’m not sure when.” James said he hasn’t “really” looked into Tennessee’s program to this point, and he doesn’t know much about the Vols. But he said he knows “a lot of fans” who were excited to find out about his offer from Tennessee. “I really pay attention to Vanderbilt more than Tennessee,” he said. Despite that, James said he “definitely” plans to give the Vols strong consideration “since it’s an SEC team.” He grew up liking an out-of-state school. “I’ve liked Michigan for a long time,” James said. “But I like UT a little bit. I have family in Michigan. That’s the reason for it.” But James said he’s not sure how he would view an offer from Michigan if he ends up being recruited by the Wolverines over the next few years. “I mean, it’d be kind of a big deal. But I don’t know,” he said. Those comments hurt. Vandy carries more weight in our state than Tennessee does to a freshman? Tennessee hasn't been relevant in his lifetime. Vandy hasn't been relevant in anyone living's lifetime. If its an in state kid with Talent UT has to be first to table. If they don't pan out or get recruited over its part of it, but they need to be first and they seem to be doing a good job at it. 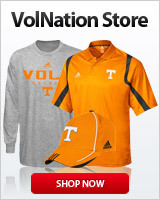 Relevance to Vandy is basically winning against Tennessee. I get what you're saying and it's true. This will become less and less important if UT continues to increase its win total over the next few seasons. By 2021 we will be in the thick of the east and Vandy will be more irrelevant than ever. Harbaugh will be canned by then so we’ll be sitting pretty. Vandy does carry weight at BA. This is a prime example of what I was talking about in the k. Lawrence thread. In state recruiting here isn't like other states. this kid will probably be big linebacker size by the time he signs. It doesn't hurt, it is embarrassing. They don’t. That just means he hasn’t visited Tennessee, to me. It’s still embarrassing, but once a recruit visits TN, they realize what a crap hole Vandy’s football program is. Alabama already has like 4 or 5 of their Top 10 instate players. Your post has some merit. Tee Martin visited his school yesterday per someone at VQ.